Police released surveillance video of two men wanted for questioning in connection with the shooting of nine people at a Brooklyn house party over the weekend. The NYPD said gunfire erupted shortly before 1 a.m. Sunday during the party at a home on East 52nd Street in East Flatbush. Emergency personnel took seven victims -- four men and three women -- to hospitals with gunshot wounds to their lower bodies. Another two women wounded at the party later went to the hospital on their own. The victims suffered a range of injuries, including gunshot wounds to the side, lower back, calf and foot, but all are expected to be OK.
Police believe the shooting started after someone was either asked to leave the party or was not permitted entry. It was unclear exactly how many people fired shots. Authorities say the surveillance video (above) shows the two men being described as persons of interest in the shooting fleeing the scene. 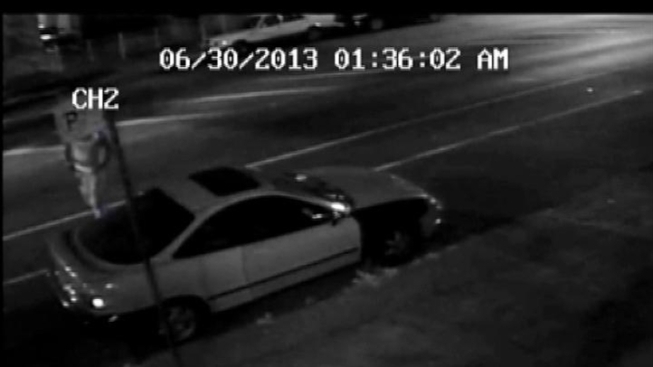 Anyone with information about the shooting is asked to call Crime Stoppers at (800) 5787-TIPS.